At Associates and Bruce L. Scheiner, Attorneys for the Injured, we know that our community’s peaceful environment and soothing spring waters bring a sense of comfort to visitors and residents, alike. But we know that an average of nearly 9 traffic crashes per day in Sarasota County can just as easily rob people of that sense of comfort and well-being. When that happens, our experienced car accident attorneys are here to help. North Port is home to 57,357 residents, according to the 2010 census. Oak and pine trees, miles of canals, and Little Salt Spring give North Port an atmosphere all its own. Warm Mineral Springs also attracts visitors to the city, and the pristine beaches of the Gulf of Mexico are only minutes away. North Port injury lawyers in our firm know that Florida roads see an average of 646 crashes per day. More than half of those leave vehicle occupants or others injured. More than 6 accidents per day prove fatal. 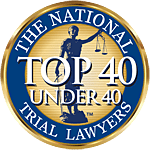 At Associates and Bruce L. Scheiner, Attorneys for the Injured, has provided nearly 40 years of successful representation to the citizens of North Port and other Southwest Florida communities. When motor vehicle crashes cause injuries, the effects can be long-lasting. Many times, they prove permanently disabling. A strong attorney with demonstrated skills in winning damage claims can mean the difference between an uncertain future and one that promises you’ll always have access to the medical care and financial support you need. Picturesque Florida roads make for great motorcycling venues. Throughout our almost four-decade history, Associates and Bruce L. Scheiner has taken a leadership role in advocating for motorcycle safety and riders’ rights. When accidents occur, our North Port motorcycle accident lawyers have the skills and experience to handle claims for injured motorcyclists. We are prepared to protect your rights and to fight for the compensation you deserve when a careless or negligent motorist injures you. We have won significant settlements and trial verdicts for victims of impaired motorists. Nationally, drunk drivers kill someone about every 48 minutes. Here in Sarasota County, the numbers are much lower, but no less tragic. At least one accident in the county every day is tied to alcohol use, and at least one death per month is, too. North Port wrongful death lawyers at our firm stand ready to help you and your family respond when a drunk driver harms you or takes the life of a loved one. We don’t back down when big insurers get involved, and we won’t rest until drunk drivers are forced off our roads. Call Associates and Bruce L. Scheiner, Attorneys for the Injured. We promise you respectful treatment from experienced attorneys who will keep you informed at every step of your case. We offer you a free evaluation, and we’re prepared to come to your hospital room or home if you are hurt too badly to come to us. We charge you no fees unless we win.